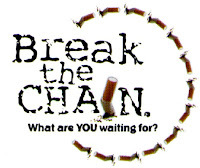 KSRealityBites: Break the chain & Quit Smoking! 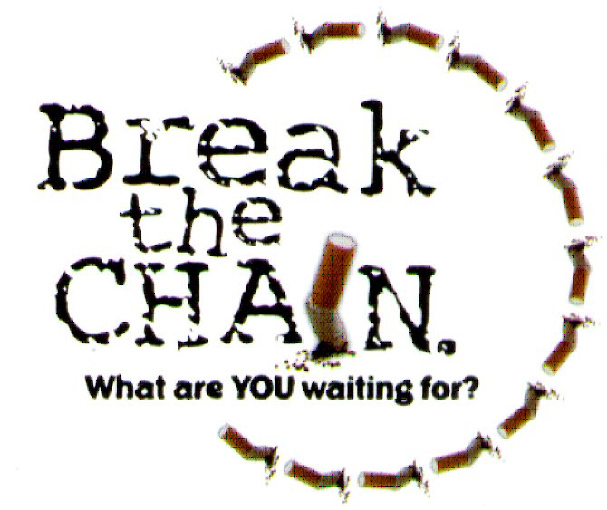 Break the chain & Quit Smoking! Smoking is a recreational activity in which a substance, most commonly tobacco, is burnt & the smoke tasted or inhaled. Smoking is one of the worst things kids or adults can do to their bodies. Yet every single day about 4,000 kids between the ages 12 & 17 start smoking. Most teenager students don't smoke - only about 1 in 10 does. Most High School students don't smoke either - about 1 in 4 does which means 3 out of 4 don't. The big question arises here is why do those who smoke ever begin? There is more than just one simple answer. Some people may start smoking just because they are curious. While others may like the idea of doing something dangerous. Still others might know lots of people who smoke & they might think it's a way to act or look like an adult. Fortunately, fewer people are starting smoking than a few years ago! There are certain problems attributed to smoking. They are yellow teeth, bad breath, more colds & coughs, smelly clothes, difficulty keeping up with friends when playing sports or hanging out with them, empty wallet -- cigarettes & other tobacco products are very expensive! Addicted people go crazy to that extent that they never bother about their hard earned wealth & also their own health plus the surroundings & even the environment. Why not people care about the statutory warning printed on tobacco products? Why do they don't care about their beloved ones & spend lavishly for such tobacco products? Why don't people think about of their own lives, their families, their friends or even this wonderful nature? Why do people ignore such warnings on the tobacco products when they know they will suffer seriously? If you care about your surroundings then you ought to take care about yourselves first! Begin thinking about your life because it's precious! Hope you've got the point of matter. Think about it. Think Again! Break the chain! What are you waiting for? Quit Smoking right now! What's the big deal? This might be your best resolution for the next year. Isn't it? Take a pledge "I Quit Smoking Right Now!" & do promise to you soul that you will never ever continue smoking further & stop it at this moment. Take care of yourselves along with your surroundings. Stay Healthy Stay Safe! Obviously written by a non smoker. Step this way for patronising cliches.